Containerised solutions. Any size. Any time. Any where. Yes! You are at the right place if you are seeking for "complete logistic solutions across the country". 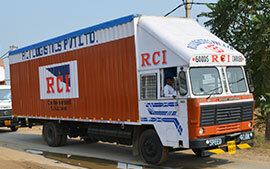 RCI LOGISTICS PVT LTD is an logistics company based in India, providing one stop solutions for all your logistics requirements, from containerized movement within country, movement of ODC consignments, transportation in normal FTL, Taurus, LCV to warehousing, value-added services and last-mile delivery. Our specialization is Container Transportation (all sizes & capacity). Our experienced and dynamic staff, with almost 2 decades of experience, are capable to handle the logistics needs up to the satisfaction of clients. It is through sheer determination that we have grown to enviable heights in the last 21 years. We believe in our people and their commitment to excellence. 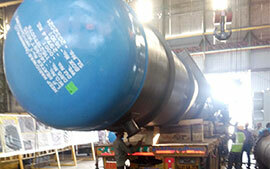 We are pioneer in Container transportation in India. 32 ft MXL container is our innovation which helped the industry to reduce the cost by 30%. Our strong fleet of 850+ own containers & more than 1000 attached ensures uninterrupted supply even in most challenging times. Using value-added logistics services enables companies to lower inventory footprints of finished goods by delaying the labeling and final assembly of products until customer orders are received. RCI can provide a variety of kitting & assembly services aimed at improving timeliness, production costs, and order processing. Transportation of Project machinery and material (Heavy and Odd Dimensional) from inception to erection and commission irrespective of destination. We have been ranked as best transporters by BHEL Trichy and got services excellence award from BHEL Bhopal. 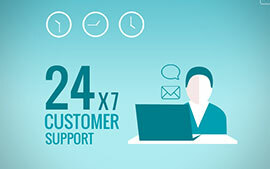 We have centralized Customer Care centre, providing 24x7x365 days Quality Service & reliable information to our customers. 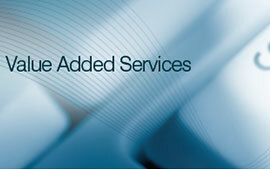 It is a single window for all our clients & all service related issues are resolved within a reasonable time frame. 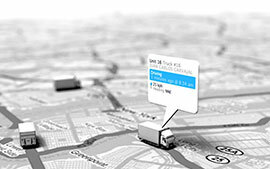 All our company fleet have GPS Based vehicle tracking systems. We are willing to share login details with our customer so that they can track their consignment on real time basis. Copyright © RCI Logistics Pvt Ltd. All rights reserved.